Is a lack of motivation crippling you? Research has proven two strategies that skyrocket motivation, but we don’t teach them in schools or the workplace. 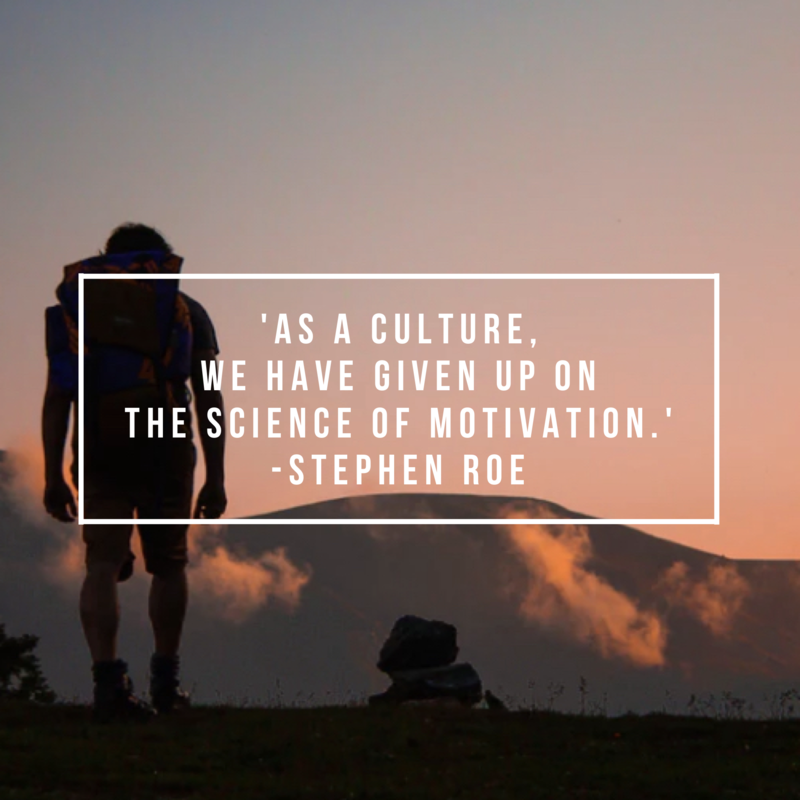 As a culture, we have given up on the science of motivation. Instead, we share inspirational cat pictures on Facebook. While I have nothing against inspirational pictures (or cats), that’s just not effective instruction. Disengaged employees cost the U.S. over $400 billion per year. Meanwhile, we’re ignoring decades of science that all point to the same two strategies. Two strategies boost motivation: purpose and incentives. Purpose is finding the meaning behind a task. Most nonprofit workers, artists, and parents find a sense of purpose in their work. Incentives are extrinsic rewards for accomplishing a task. Paychecks, bonuses, and gold stickers in kindergarten are examples of extrinsic motivation. Traditional systems use only one form of motivation. Employers expect the promise of a raise to boost innovation. Political candidates craft a more emotional appeal to encourage volunteers to increase the number of tedious phone calls they make. But we have it all wrong. Both purpose and incentives can be effective, and both have their place. But neither strategy is the whole story. You see, science shows a distinction between the two. That difference radically transforms their effectiveness, and that’s where most people go wrong. Research on motivation seems to go against common sense. A 2016 study of U.S. military hospitals showed a statistically significant reduction in efficiency when a pay-for-performance financial incentive was put in place. Another study from Switzerland showed that when volunteers were paid for their help, they actually volunteered less. So is the answer that financial incentives don’t work? Well, no. The science is more complicated than that. To find the answer, we need to understand that not all activities are alike, and motivators work differently with different types of activities. Work falls on a continuum. At one end are complex activities that require brainpower, and at the other are mechanical tasks that involve minimal thinking. When we look at motivation through that lens, what do we find? In a recent study on MIT students, researchers gave participants two tasks—typing the “v” and “n” keys back and forth as fast as they could—a mechanical task if there ever was one. The students also solved a matrix of addition problems, representing complex work. All students performed the same tasks, but were split into two groups. One group was offered $300 for better performance on the tasks, and the other group $30. The results give us a clue how to motivate ourselves to work harder. The mechanical-task group did a stellar job when presented with the increased reward. It was clearly the winner in productivity—as long as the brain wasn’t too involved. But that’s where the reward ended. In the math problem segment, the group offered $300 for high performance actually did worse. Much worse. Perhaps, the researchers surmised, the effect was due to cultural bias. They performed the same experiment in India. Same result. It isn’t just one study. More and more research has proven the same conclusion—extrinsic motivators only work on mechanical tasks. A study of elementary students paid for higher standardized test scores showed that math (arguably the most rote of the subjects) was the only skill with an increased score. Subjects demanding more complex reasoning such as reading, science and social studies stagnated. In a 1962 study, participants were given a candle, matches, and a box of tacks. Researchers instructed them to attach the candle to the wall in a way that prevented wax from dripping on the floor. One group was told they wouldn’t be compensated but their answers would help researchers gather data. The second was told they’d receive $5 for being in the top 25% of fastest participants, and the participant with the fastest time would get $20. In today’s money, those rewards equal around $40 and $160, respectively. The answer to the challenge is to empty the box of tacks and attach the box to the wall. It takes most people 5-10 minutes to find the answer. That’s about how long it took those told their work would bring an intrinsic benefit—helping researchers. But those offered money? It took them, on average, three and a half minutes longer to finish the task. Consistent with previous findings, productivity on challenging work declined when incentives were offered. Researchers conducted another test condition, but this time removed tacks from the box. This takes the challenge out of the puzzle, and transforms it into a mechanical procedure of tacking the box to the wall. Sure enough, the people who had been offered the extra incentive did it faster. The research is clear: extrinsic motivators only work when the task requires little brainpower. When the work is complex, the motivation has to be intrinsic. But I was curious—could I use the studies in my daily job? 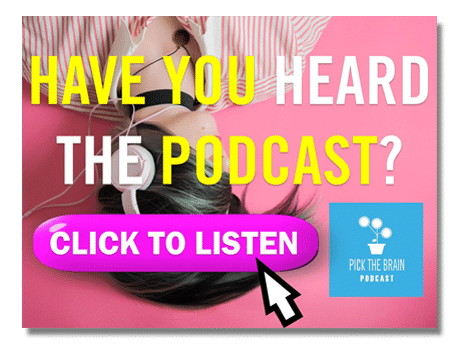 I first learned about this research through Dan Pink’s extraordinary TED talk on motivation, which provided a starting point for this article. But I wasn’t satisfied with just the research. I wanted to try it out on my own. What if I could take those findings and craft a motivation plan that allowed me to work more productively and stay motivated while doing it? While my “study” wouldn’t have scientific rigor, I tried to replicate bonafide research as best as possible. I tracked my motivation during the process of writing two articles. Both were similar in length and content, and I wrote both in similar test conditions. Every fifteen minutes, I wrote down my amount of motivation for finishing the project on a scale of 1-10. A higher score indicated higher motivation. For my control task, I completed the article using my normal planning and strategy methods. I pushed through no matter what. Overall, I wasn’t too pleased with that score, but felt like it was a fairly accurate representation. Many people think of writing as a creative endeavor. Much of it is, but there is a large amount of rote work as well—proofreading, fact-checking, and editing tend to be monotonous tasks with little creative thinking. For the second experiment, I broke up my tasks into two categories—complex work and mechanical work. Researching, outlining, and drafting the article were complex tasks. Editing and revising each section were mechanical. In the experiment, I wrote down the reason why I was completing the complex tasks, and used that as my motivator during that process. The reason I wrote down was to help people through the article I was writing and draw a bigger audience through the exposure the article would bring. For the less complex tasks, I rewarded myself with a guilty pleasure—playing a text-based computer game I recently discovered. For each of the seven sections I completed, I rewarded myself with 10 minutes of guilt-free time on the game. The 70 minutes were to be used all at the end. After tracking my motivation every 15 minutes, the results were in. Based on the motivation scores I accumulated over the hours on the first, unmotivated project, I finished with an average score of 5.88 of a possible 10. I frequently dipped to three, two or even one on my ten-point scale. Overall, the project just didn’t interest me. On the second project, where I applied what I had learned about motivation, I tallied a stunning average of 8.77—an increase of 49.08%. The lowest single score I had was a seven. In addition to that, I completed the second article in 76.47% of the time, shaving off valuable minutes. I was a bit hesitant about using the game time, afraid I would fall into a vortex of distraction. I’ve frequently succumbed to what researchers call the “what the hell” effect in the past. I had already wasted five minutes. What difference did it make if I spent another five, ten, or sixty on the game? I was pleasantly surprised to find it was easy to pull myself away when the time came. When that time had been earned, it was easier to stop. I knew I had earned it, and I didn’t have reason to give up on my work and keep procrastinating. While my study wasn’t scientific, it was game changing for me to see what kind of motivators would work best for me. Using this method, I found a system that works well when I need motivation. If my task requires thinking, I focus on why I’m doing it. When it’s nothing but drudgery, I give myself an extrinsic reward. It’s not just for me, however. You can apply the same principles of motivation to your daily life. If you’re planning on losing weight, write down your reason as you plan a diet and workout plan. For each time you accomplish those steps, provide yourself some time to do something you love (preferably something other than eating). If you are trying to watch less TV, focus on the why and build in a replacement habit. Then each time you do the replacement habit, add a reward at the end. This has the added benefit of making the habit easier to stick with. Extrinsic and intrinsic rewards can both work, but both need to be used in their respective area of strength. If you are doing a lot of tedious work, an extrinsic reward will be the best motivator. If you need to increase the complex thinking and planning you or your colleagues do, your best bet is to focus on the why. A raise or promise of more rewards won’t change behavior as effectively. So now that you know how to motivate yourself, what are you waiting for? Choose your task, find the best type of motivator, and start. 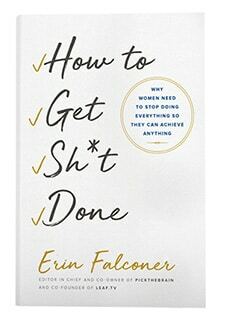 Want another helpful, science-based blueprint for accomplishing more? Check out Stephen’s guide to Habit Forming Morning Routines. Stephen Roe applies the scientific method to personal development at his site ThougthfulGrowth.com.